Glendale, AZ has been home to a locally owned family business, Bears & More, for 26 years. Owners Valerie and Linda Burner’s love of bears gave them the inspiration to create a day to celebrate how special cuddly bears can be to our community. This day came to be known as “Teddy Bear Day” and 14 years later we are still celebrating this great cause with local businesses and generous people giving back. Bears and More will be selling new teddy bears (12” in size) to distribute to local Trauma Teddy programs, first responders and emergency rooms. Over the years, Teddy Bear Day has successfully collected and donated more than 8,000 bears to those that that have been in times of trauma, from auto accidents to fires, home accidents and emergency calls. The day also includes fun activities for the whole family! 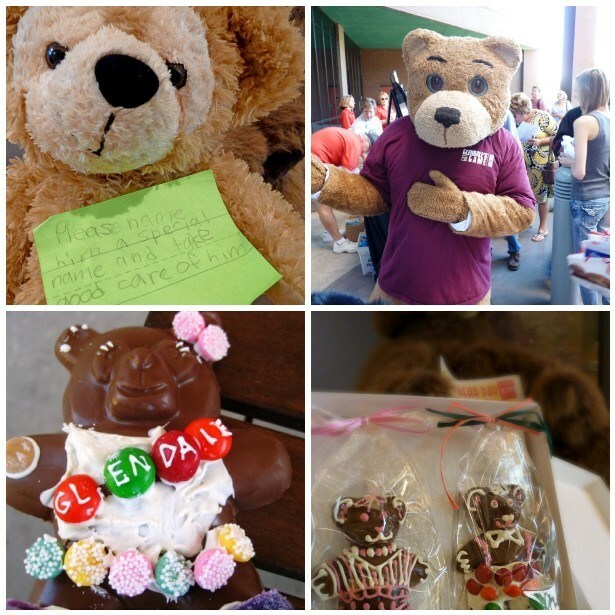 The Burner family and neighbors have fun ideas all relating to Teddy bears, from face painting to glitter tattoos, bracelets, games, prize drawings and menus filled with special “berry” items. Visit boutique stores, specialty shops, and downtown eateries for special offers and discounts. An event shuttle will be cruising through downtown Glendale to offer free rides in the area, including stops at Cerreta Candy Company. Start your day at the Arizona Doll and Toy Museum to get all your information relating to the event. For additional information please contact Bears and More at 623-931-0339. TIME: 10:00 a.m. to 4 p.m.